Dense fog enveloped the national capital this morning, leading to cancellation of 13 north-bound trains. 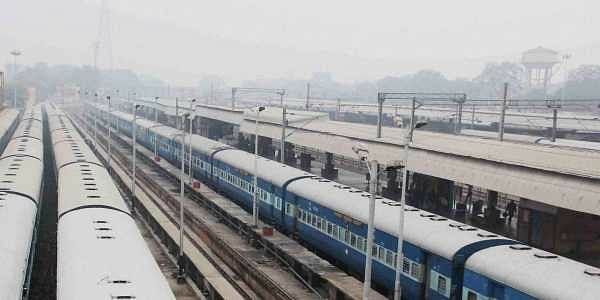 NEW DELHI: Dense fog enveloped the national capital this morning, leading to cancellation of 13 north-bound trains. The mercury also dropped to 5.6 degrees Celsius, two notches below the season's average although it was yesterday recorded at 9.1 degrees Celsius. "The skies will remain clear throughout the day and the maximum temperature is expected to hover around 23 degree Celsius," an official of the department said. Yesterday, the maximum temperature was recorded at 25.5 degrees Celsius, six notches above the season's average.